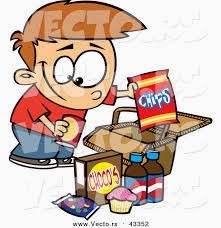 Accepting the draft guidelines for restriction on sale of junk food in and around schools, the Delhi High Court has asked the Food Safety and Standards Authority of India (FSSAI) to create regulations and implement them within three months. The court also directed the Delhi government and the Central Board of Secondary Education (CBSE) to consider issuing directions to schools to implement the guidelines even before the FSSAI frames rules under the Food Safety and Standards Act. The draft guidelines, which were submitted to the court last year, include measures such as restriction/limit on the the availability of most common “High Fat, Sugar and Salt (HFSS) foods” — chips, burgers and aerated drinks — in schools and area within 50 metres of schools. The guidelines also suggest the creation of a canteen policy and school health education programmes to educate students and parents about the “ill effects” of unhealthy food habits. The High Court bench of Chief Justice G Rohini and Justice R S Endlaw in its judgment declined to pass orders or directions to the government on how to regulate sale of HFSS foods in schools, after noting that the guidelines had been created by an expert panel. The court also declined to define the term “junk food” after observing that the draft guidelines had not used the term “junk” but had used the term, HFSS foods. “When an expert body constituted for this very purpose and in performance of its statutory duties has framed the guidelines, without there being any specific challenge thereto, we do not consider appropriate on our part to tinker with it,” the court said. The judgment has been issued on a PIL filed in 2010 by the NGO Uday Foundation to curb the sale of junk food and unhealthy eating habits among children in Delhi. The FSSAI guidelines will apply to the whole of the country. The court took note of the objections raised by amicus curiae Sanyat Lodha regrading the terminology, but held that it did not wish to change the guidelines created by the expert body. In a bid to ensure the implementation of the guidelines in Delhi, the court directed the L-G to consider issuing instructions under the Delhi School Education Act, by April 30.